Taverna Zisis operating since 1972 once the grandfather Zisis and the grandmother Chryssoula created a traditional taverna for the families of Rethymnon and their social events. All these years this taverna has evolved as one of the most popular for residents of Crete and the visitors of the island. It is located close to the center of Rethymno (about 4 km), at Misiria on the old highway Rethymnon – Heraklion (at the Amariotikos junction). 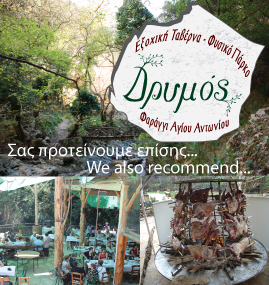 Taverna Zisis provides the customers with parking and an organized area specially designed for children to play. In the summertime the customers can enjoy their food on the patio, in a beautiful environment under the shade of trees. In the central hall dominates daily (noon and evening) the show case with traditional cooked foods from Crete and Asia Minor based on recipes from grandma Chryssoula. You can choose between 35 to 40 different dishes of meat, fish, fresh vegetables and tomato sauce prepared with fresh Cretan raw materials, which you can also enjoy in your home with takeaway from our taverna. There are also available fresh local meats from the grill and a wide variety of fried titbits at very affordable prices. 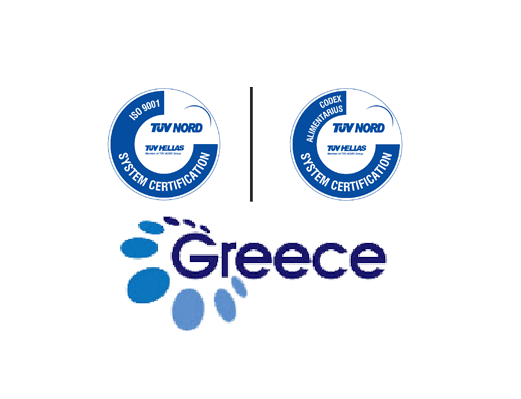 Taverna Zisis is recognized since 2004 with the brand of Greek cuisine and certified in accordance with International Standards ISO 9001:2008 quality service and safety food consumption Code Of Practice – General Principles Of Food Hygiene – CAC / RCP 1-1969, Rev . 4-2003, Amd. (2009) – HACCP Codex Alimentarius Commission. Available for social events up to 150 people.